on Saturday March 10, 7.30 pm, University Great Hall, London Road campus. Please join the University of Reading Festival Voices and Festival Sinfonia as they perform Karl Jenkins The Armed Man: A Mass for Peace in the Ben Pedley Memorial Concert on Saturday March 10, at the University Great Hall. Students, staff, alumni and community singers and orchestral players are welcome to join for this performance of this modern favourite which depicts the horrors of war, and conveys the urgent need for nations to come together in peace. This concert is the culmination of our Remembrance Festival marking the centenary of World War One. We commemorate the life of Ben Pedley, a second year Chemistry student who died in a road traffic accident in 2017. We present music that was meaningful to Ben in the first half of the programme, celebrating his love of a diverse range of songs and piano music. 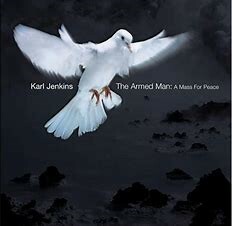 The second half of the concert is a performance of Karl Jenkins: The Armed Man, A Mass for Peace, which is conducted by Patrick Barrett, the University Chamber Choir director.